UNITED NATIONS, New York – World leaders committed to take decisive action to address global climate change at yesterday’s historic United Nations Climate Summit. Among these commitments, leaders pledged to promote the resilience of vulnerable communities to climate-related disasters; an innovative UNFPA programme will play a key role in these efforts. “Never before have so many leaders gathered to commit to action on climate change,” said Secretary-General Ban Ki-moon at the close of the summit. 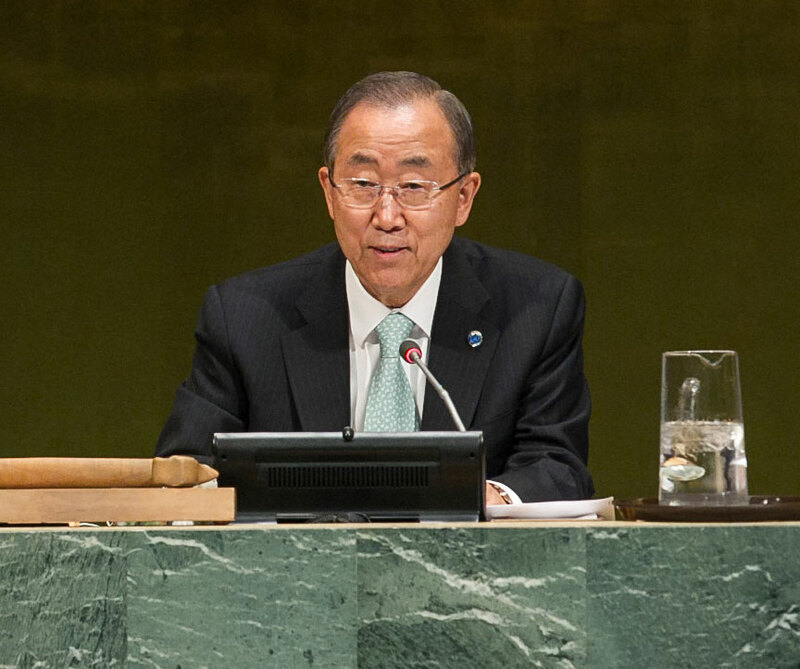 “We heard how strengthening resilience – both climate and financial – is a smart and essential investment,” he added. But to strengthen communities’ resilience, experts must first identify where the most vulnerable communities are and why they are vulnerable. Then, “user-friendly ‘news you can use’ climate information” must be made available to countries, Mr. Ban said in his chair’s summary. UNFPA has developed a tool that allows experts, policymakers and even community members themselves to see exactly where vulnerable people are and what conditions make them vulnerable. The most marginalized groups are too often invisible to policymakers. Whole communities may be left voiceless, such as indigenous communities or slum-dwellers. And within communities, certain individuals and families – such as adolescent girls and female-headed households – face heightened risks. Demographic Exploration for Climate Adaptation (DECA) combines population data – including gender, age, location, housing, and availability of services – with geographic information on areas vulnerable to climate impacts. DECA – developed by UNFPA in partnership with the International Institute for Environment and Development and Wolfram Research – is a central part of the Climate Information Action Statement, a plan developed for the Climate Summit that has already garnered support from variety of nations. A DECA-produced interactive map of Semarang, Indonesia, shows vulnerable populations in flood-prone areas. The Climate Information Action Statement calls for “the integration of climate information with other data into development planning.” DECA enables exactly this kind of informed decision-making. DECA provides information and analysis with a high degree of resolution. The programme is able to reveal, for example, which densely populated neighbourhoods lie in the flood-prone areas of Semarang, a city in Indonesia. Within these hazard zones, the programme can show which neighbourhoods have large populations of women and girls. Women and girls tend to be disproportionately affected by such crises. During the Indian Ocean tsunami in 2004, for example, women died in far higher numbers than men. After disasters, women and girls face risks of gender-based violence, and require specific interventions – including hygiene supplies, maternal care and safe delivery services. DECA also shows the resources, services and infrastructure in climate-exposed areas. All of this data can be used to tailor disaster response plans to the needs of vulnerable populations, and it can be used to plan more sustainable infrastructure. Multiple countries, including Indonesia, Maldives, Jamaica, Saint Lucia, and Trinidad and Tobago have committed to using DECA in planning and policy development. By the end of 2015, DECA will cover as many as 20 million people, and it could cover significantly more. DECA is based on the 2010 round of censuses, which counted and mapped more than 90 percent of the world’s population; the programme’s scale-up potential is therefore enormous. Primary funding for the project comes from the Government of Luxembourg, with additional funding for the project’s work in the Maldives coming from the Government of Denmark. “We face perhaps no greater challenge over the long term than climate change,” said UNFPA’s Executive Director at a Special Session of the UN General Assembly on Monday.